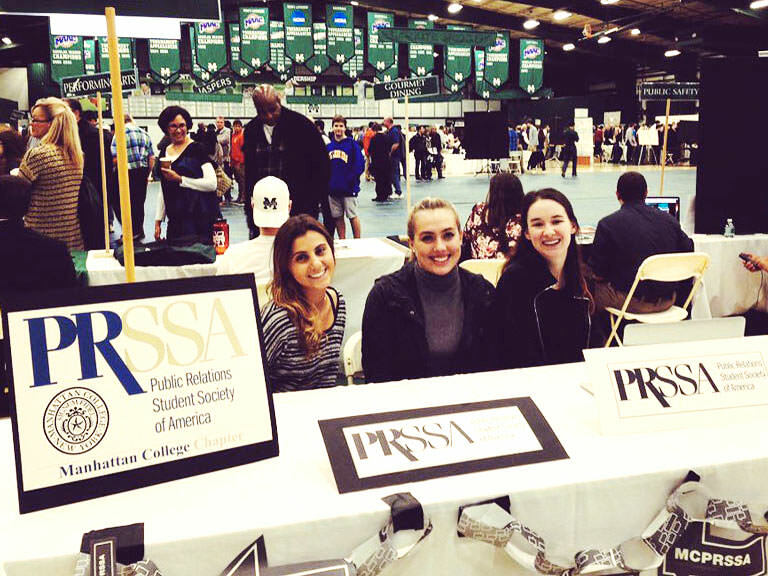 The Public Relations Student Society of America (PRSSA) is a pre-professional student organization that allows students to build lasting relationships and gain experience in the public relations field. Worldwide, PRSSA is made up of more than 11,000 students and advisers organized into 300+ chapters in the United States and South America. The Society seeks to advance the public relations profession by nurturing generations of future professionals. In addition to attending regional events, the Manhattan College student chapter hosts a series of networking and educational events including panel discussions, workshops and guest lectures. PRSSA is open to all students, however students interested in careers in communications and public relations may benefit most from membership. Sign up at the biannual activities and volunteer fair which happens at the start of each fall and spring semester, or contact the club directly at publicrelationsclub@manhattan.edu.